Doctor Who Series 8: where did it all go wrong? 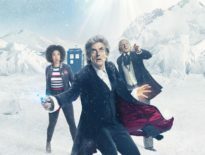 Ask me in the past and I’d have said, “Doctor Who Series 8″ without being able to pinpoint an exact point, but in my reappraisal of Peter Capaldi’s first season as the Doctor, I’ve discovered that I was the one who was wrong. There’s a lot of good in that run of episodes. Nonetheless, it still doesn’t sit easily with me. Doctor Who Series 8: where did it all go wrong? Ask a lot of people, and they might say Kill the Moon. For this viewer, it was an episode I thought could rival The Impossible Planet/ The Satan Pit and Hide… until I watched it, and thought it was an abomination. Many years later, and it hasn’t improved much. There’s one scene which I think is gorgeous: the very end, with Clara staring up at the moon. In fact, if anything saves Kill the Moon, it’s director, Paul Wilmshurst. Like Douglas Mackinnon, he’s a real talent, delivering some stunning visuals and salvaging at least something from the wreckage. Still, it was around this time that I thought I might have to give up on Doctor Who. It simply wasn’t my show anymore. Not every era is going to appeal to all, but it’s nevertheless a sad day when you realise the programme you’ve loved for so long has become unrecognisable. Thankfully, Mummy on the Orient Express followed. Do we need to say how wonderful it is? You know already, don’t you? It gave me some faith back in the show. It reminded me of who the Doctor should be, and signalled that the series could get back on the road. 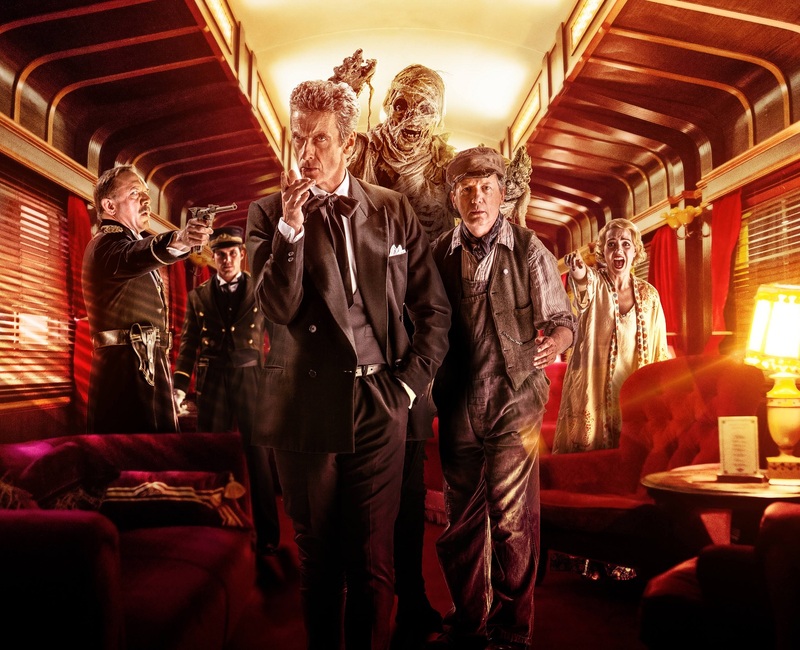 It’s interesting, too, how Kill the Moon and Mummy on the Orient Express tackle the Series 8 arc: that is, the Twelfth Doctor questioning whether he’s a good man. This irked me because I never thought it fitted this Doctor, particularly the Doctor at this point in his life. He’d just vowed not to forget a single moment of his eleventh incarnation’s life; he’d saved his planet from the Time War; and he’d fought at Trenzalore, admitting that every life he saved was a small victory. The Doctor may question whether he’s a good man – but a mid-life crisis didn’t ring true just then. It was as if the show were trying to hark back to Series 1, except Christopher Eccleston was trusted to express these concerns without the need to air such concerns in wonky dialogue. Finally, in Mummy on the Orient Express, Capaldi gets his Ninth Doctor moment: he says that sometimes, the only options you have are bad ones, but you still have to choose. And look at that Time Lord, the pain etched across his face. It’s a wonderful piece of television. 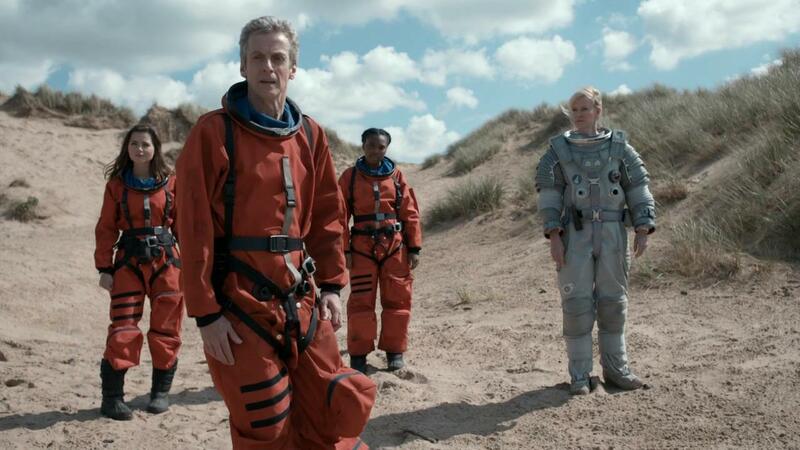 Kill the Moon contrasts this by showing the Doctor doing something uncharacteristic: he leaves. Oh yeah, the Doctor always disappears at the end, but he rarely leaves his companion to make a life-changing decision without anyone she can trust by her side. You might argue that this is the Doctor’s logic: he’s so alien that his interpretation of “good” is too flexible. But it’s nonsense, isn’t it? Look at the 50-odd years that came before, and though you may find kinship between the First and the Twelfth Doctors, a lot has changed for the character in the interim. Similarly interesting is how Flatline undermines the Time Lord again: Clara is desperate for him to acknowledge that she makes a good Doctor; he then says that she was an excellent Doctor, but that good had nothing to do with it. Here, I’m reminded of a lovely bit of dialogue from Sherlock in which the titular character tells Moriarty, “I may be on the side of the angels but don’t think for one second that I am one of them.” The parallels are plain to see, but while that sentiment is fitting for the Great Detective, it simply doesn’t ring true of the Doctor. It’s an encroachment of one character on another; the pull of one hit show influencing the other. Once more, you might say this is telling of the Doctor (he can’t see that he is good) but The Day of the Doctor demonstrated the ideals he tries to live by; his separation of “good” and “the Doctor” implies he’s given up on those notions – which simply isn’t true. Still, that’s one of the only negatives about Flatline, which is an exceptional episode otherwise. Okay, the Doctor gets rid of the Boneless by doing a thing, but a questionable conclusion can be forgiven when the rest of the story does so much right. It’s fun and scary and unique. It manages to create a truly original villain by experimenting with the show’s sci-fi foundations. It’s no wonder that Jamie Mathieson emerged as such a notable talent from Series 8 – his two offerings really are the best of the season. Nonetheless, I find there’s something beautiful about it. 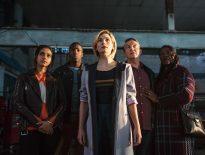 It’s forgettable, as the Doctor warned us, but there’s something to be said for a Doctor Who episode which doesn’t hit like a sledgehammer and insults all and sundry. Tonally, it’s very at odds with the rest of the series – at least unless you see it as an experiment, harking back to the days of the First Doctor era, in which everything seemed possible. The kids are fun too, and – a miracle if there ever were one – the story made me like Danny Pink (momentarily). “Be more trusting” is a glorious little message… which you probably shouldn’t live by. For instance, I trusted that Doctor Who Series 8 would end on a high (I’d enjoyed Moffat’s previous season finales before that, so hope won out). 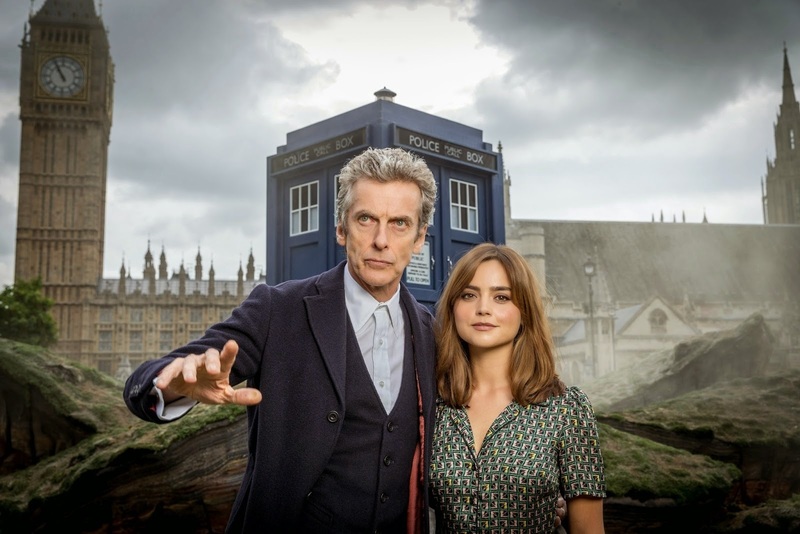 In my reappraisal of Series 8, I rewatched them all – save two episodes. If I’m doing a Who marathon, I won’t leave anything out, so this was new territory for me. However, I just couldn’t bring myself to relive Dark Water/ Death in Heaven. 2018 hasn’t been a kind year, per se, and I wasn’t in the right frame of mind to be insulted. I found The End of Time‘s insinuation that the Master had changed even the dead into facsimiles of himself a bit tasteless. It’s a stroll in the park compared to Dark Water/ Death in Heaven. Never had I known Doctor Who be so mean-spirited, so ill-intentioned and ignorantly hurtful. The serial was a mistake. 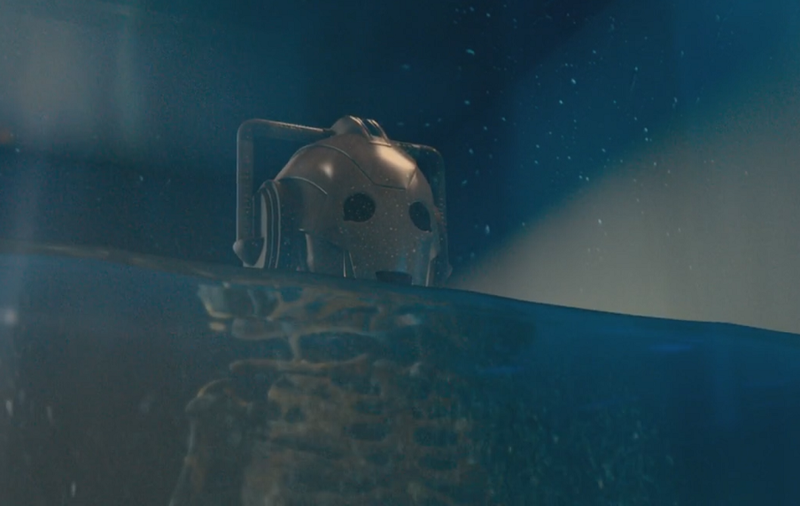 This comes from someone who likes the Cybermen, and can, to some extent, forgive the 3W motif because the modus operandi of the race dictates the need for bodies. I struggle with Cyber-Brig, with Missy, with the Doctor not doing much at all. But it’s the whole atmosphere of the two-part finale that I can’t forgive – mainly because it seems to pervade into the rest of the series. Everything had been leading up to this, and that taints what’s come before. 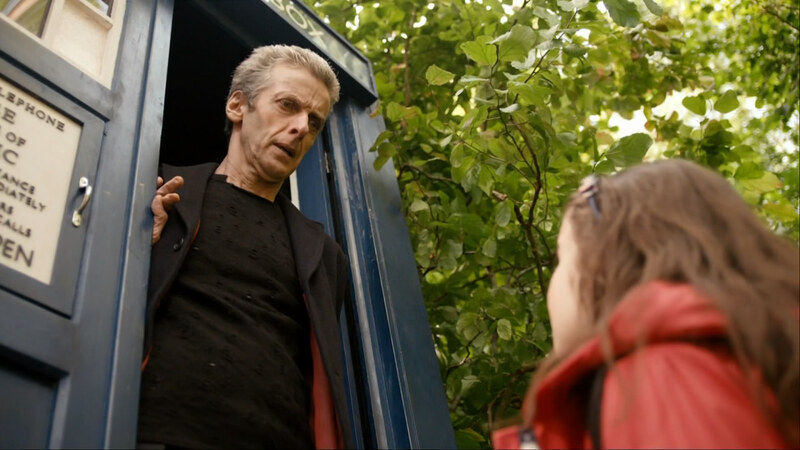 Yet looking back over Series 8, it wasn’t as bad as I initially thought. There are four episodes which I think come out on top (Listen, Time Heist, Mummy on the Orient Express, and Flatline) four I’m on the fence about – Into the Dalek, Robot of Sherwood, The Caretaker, and In the Forest of the Night – and four which I think represent the worst of Doctor Who: Deep Breath, Kill the Moon, and Dark Water/ Death in Heaven. That is the definition of a mixed bag, though is a cheerier proposition than the one I had in my head when approaching Series 8 again. And hey, I thought, at least Series 9 is next – that’s much better!